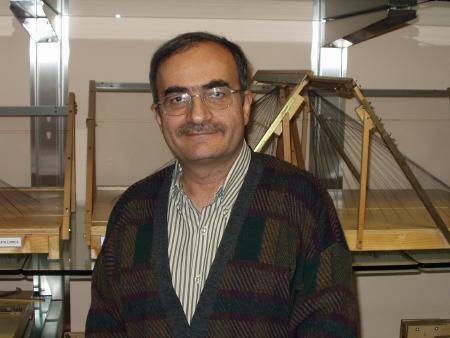 Ali Rejali is Associate Professor of Mathematics and Statistics at Isfahan University of Technology, Iran. He is the Cofounder of the Iranian Mathematics Competitions, founder of Isfahan Mathematics House and Societies for Teachers of Mathematics in Iran and the Iranian Association for Mathematics Teachers' Societies. He is also a member of the Awards Committee of the World Federation of National Mathematics Competitions. We had many goals for improvement of mathematics education when we started the mathematics competition in Iran, but due to some changes on the rules, most of them have not been achieved. One of them was the improvement of mathematics knowledge, and problem solving skills among teachers. The results of a study on the involvement of mathematics teachers in competitions, as well as the positive and negative effects of the competitions on education in Iran, is presented. High school mathematics competitions in Iran started in 1984 . One of the goals was to involve the teachers, schools, cities and provinces as well as students in competition type activities for improvement of mathematics education throughout the country . In order to achieve this goal, we started competitions in schools, cities and provinces. The teachers were involved in all activities related to competitions . But later on due to a need for the success of the Iranian teams in IMOs, they have changed the rules. Now a two stage national competition is held each year. On the first stage, through a multiple choice national test, a central committee chooses the winners of the first round. Then there is another competition among the winners of the first round, through which the committee chooses the winners of the second round. These students take part in a series of training workshops, and the IMO team will be chosen from the best performers of these students. Under this policy, the teachers are less involved, and many students do not take part in competitions as they feel unsuccessful if they have not achieved high results in these competitions, and, as a result, there are few benefits to mathematics education in general from these activities. Cluster sampling is being used with 121 teachers from the list of the members of different Mathematics Teachers' Societies throughout the country, (these teachers are more aware of the news and problems about mathematics education). Here, the clusters are the provinces, each listing unit consists of members of Mathematics Teachers' Society of that province. Elementary unit is a typical high school mathematics teacher, as a member of the corresponding society . Sample size ($n=121$) is obtained by estimating the overall sample size with the use of the variance for similar study in Iran and 10 percent accepted error. The number of elementary units in each province was calculated relative to the number of population of that province, (using 1996 Iranian Census). A tested questionaire was designed for this opinion poll, and follow up attempts have been made. Only 65.3% of these mathematics teachers are familiar with the procedure of mathematics competitions. Most of them believe that mathematics competitions should be more popular. 54.5% of the teachers believe that in general mathematics competitions have positive effects on mathematics education. 57.9% believe that the competitions have positive effect on solving the problem of lack of interest in mathematics. 56.2% believe that the competitions stimulate students in learning more mathematics. 50.4% believe that they encourage students in solving problems. 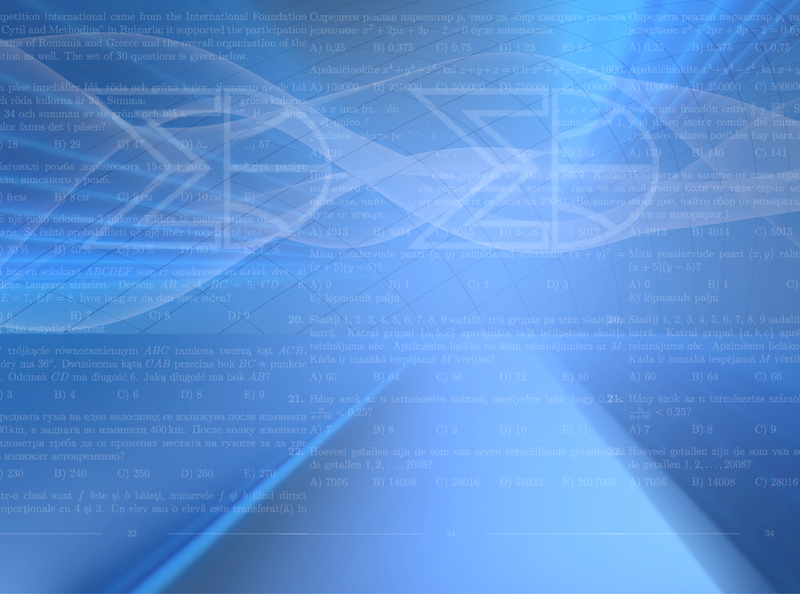 74% believe that mathematics education will benefit from mathematics competitions. But 76% of these teachers believe that this competition does not belong to all students, and 58.7% believe that it should be designed so that most students can be involved in it. Only 39.7% of teachers believe that they are involved in making questions, 59.5% are involved in choosing students to participate in Iranian mathematics competitions from schools,only 33.9% believe that the teachers are involved in choosing winners in cities, 9.9% in provinces and 2.5% in the country (National Iranian Mathematics Olympiad). Even for organizing the competitions as observers only 19% are involved. Although only 31.4% believe that mathematics competitions have positive effect on mathematics education of all students, most believe that it stimulates students in general. On the other hand, only 9.9% believe that it has negative side effects on students, due to discouragement from not being winner. 33.4% believe that it is a high school business, and only 24.8% believe that it is a university business. 28.9% believe that the competitions have positive effects on social behaviour of the students. 44.6% have no idea on this question. Only 11.6% believe that the competitions have negative effects on social behaviour of students, due mostly to discouragement. 52.1% believe that separating the so called gifted students is not a suitable activity for mathematics education. 54.5% believe that mixing up students has positive effects on the improvement of education. 57.9% disbelieve the method of choosing gifted students. Some of them (low %) believe that the teachers are capable of choosing these students throughout the classes. 53.7% believe in the positive effects of competitions on winners, and 35.5% in the negative effects of the competitions on non winners. Most of the teachers believe that competitions should be more popular, and we should prepare all students, even the students from low income families to take part in them. Most of the teachers agree with the author for the need for more involvement of teachers in competitions. A need for more involvement of teachers. A need for changing rules to have higher involvement of both teachers and students. The need to prepare all students for taking part in competitions. In any situation, competitions have positive effects on mathematics education . The author is thankful to Miss Fathi and Miss Masaeli for working on the results, to the Iranian Association of Mathematics Teachers' Societies, and all Societies for Mathematics Teachers in Iran, for helping him in this opinion poll. Also he thanks the Iran Education Evaluation Organization for its financial support. Rejali, A., Toomanian, M., & Zaree Nahandi, R., Mathematics Competitions in Iran, presented at ICME 6, Hungary (1988). Rejali, A., Lack of interest of students for studying mathematics, Unesco Document Series no.35 (Reports and papers presented in the fifth day special programme on Mathematics Education and Society at ICME (6), 1988, pp.146-147. Rejali, A., Impact of Iran's participation in the IMO on mathematics education, and National Competitions, `A New Proposal', Mathematics Competitions, vol.4, no 2, (1991), pp.84-90. Levy, P.S., and Lemeshow, S., Sampling of Populations, Methods and Applications, Wiley, 1991.